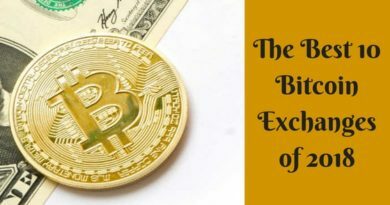 As 2017 is coming to an end it was a great year for Bitcoin as most of the online casinos included BTC games, sports, and made this crypto currency as one of their deposit options for players. One more aspect the Bitcoin emerged successful in 2017 was with the popularity of so many BTC apps. These BTC apps allow you to deposit with BTC, purchase BTC, buy and sell with BTC and even store BTC. So here are the best and handy Bitcoin apps of 2017 that you will really appreciate to have on your smartphone. 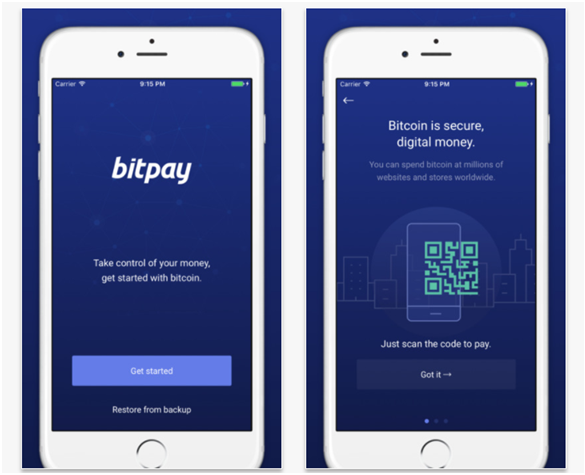 BitPay is wonderful app a sort of payment website where you can make BTC transactions with one touch. You can store BTC, buy and sell bitcoin and turn bitcoin into dollars with the BitPay Visa Card all safe and secure. This app works best for almost all iOS devices of iOS8.0 and for Android devices 4.4 and up. 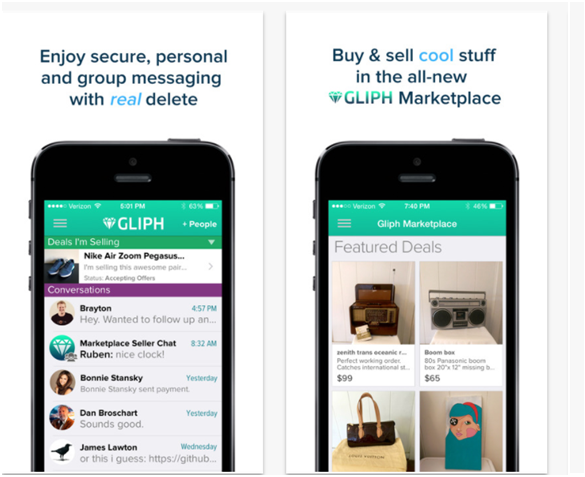 Gliph works as a Bitcoin market place on your cell phone where you can send and receive messages to individuals or within groups, put up items for sale and purchase items all from your mobile device or desktop computer. Buy and sell cool stuff using cash or Bitcoin. Create and edit listings from your phone or Desktop. Stay in touch with cool people who matter to you in personal or group conversations! When you delete a message it is deleted from both sides of the conversation and the server. Real Delete = Real Privacy other services can’t offer. Flexible Secure Group Messaging lets you show a pseudonym to a gaming group and your real name to your co-workers. Bitcoin has never been easier to use than this. Just connect your Blockchain.info wallet and you’re ready to go. People like Support Gliph because you access it in the app and a real person actually replies and helps you! The app is compatible with iOS7.0 and up devices and for Android 2.3.3 and up devices. With Spare app you can turn your bitcoin into cash quickly and conveniently. You just need to go around the ATM system where you request cash and you get a barcode that you can take to a local shop close to where you are. The shop keeper scans the code and gives the Spare user cash in exchange. Spare also works with traditional currency, eliminating the need for an ATM altogether. 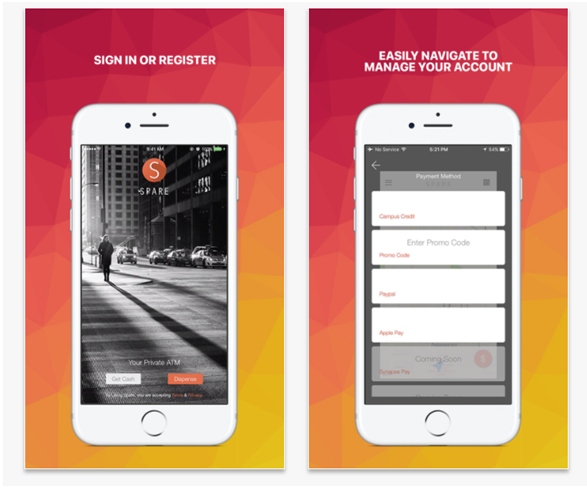 When you sign up with this app you also Get $5 for Free on Signup! Use Promo code “sparecash”. Spare turns any cash register into an ATM. Simplifies safe access to your cash by employing a unique security system, so you can quickly locate and access your very own cash – when you need it. Offers members an uninterrupted service of secure transactions. With cutting-edge security protocols, it is perfectly safe. There are no more worries about credit card skimmers and identity thieves. Set your cash pick-up location and enjoy the convenience of going about your day as planned, without going out-of-the-way for an ATM. Go anywhere. If you forget your cash, no big deal, tap into the SPARE network. Spare app is compatible with iOS9.0 for iOS devices and for Android device you need 4.3 and up cell phone. This is soon to be launched app which will bring major retailers to Bitcoin. 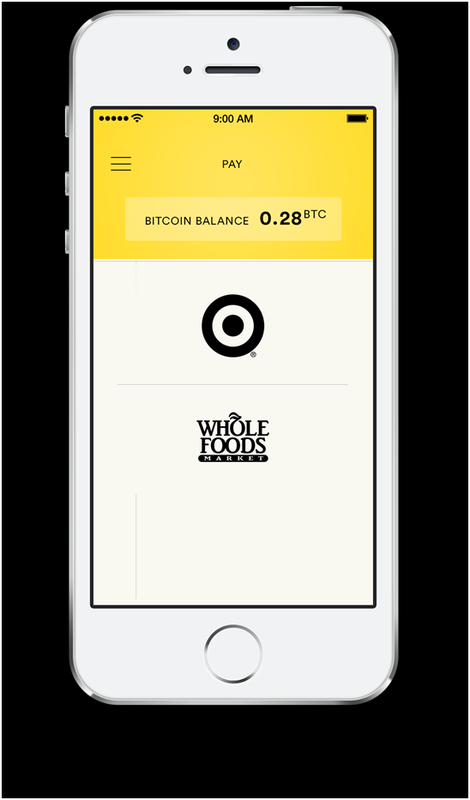 Fold allows users to pay at such stores as Target, Starbucks and Whole Foods using your Bitcoins, right from your cell phone device. Overall, the app is still in the process of adding retailers, but once it does, this will be the next big thing in mobile payments. 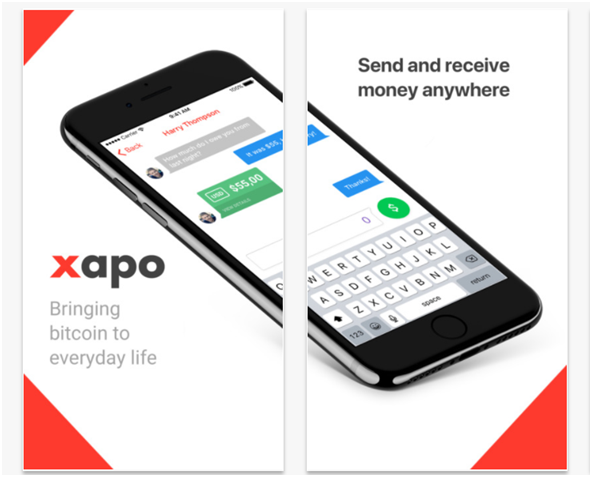 With xapo app allows you to send and receive Bitcoins in just two clicks. There are absolutely zero fees to use the app, and you can store and access your Bitcoins very easily. This app serves as Bitcoin multi-currency wallet that combines convenience and industry-leading security for managing your Bitcoins and sending money to friends and family instantly all over the world! • Easily send, receive and convert funds in all currencies worldwide. • Use your Xapo Debit Card for in-store and online purchases and at ATMs worldwide. This app is compatible with iOS 9.0 and up devices and for Android you need 4.1 and up device. 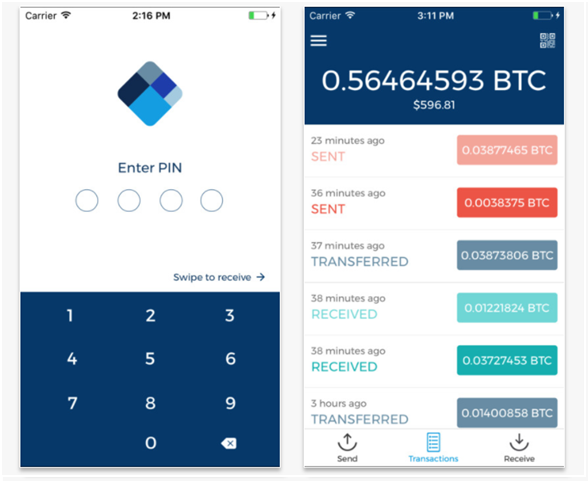 Circle allows you to store, access, send, receive, and convert your Bitcoins from your smartphone device. You can even create your own QR codes here. 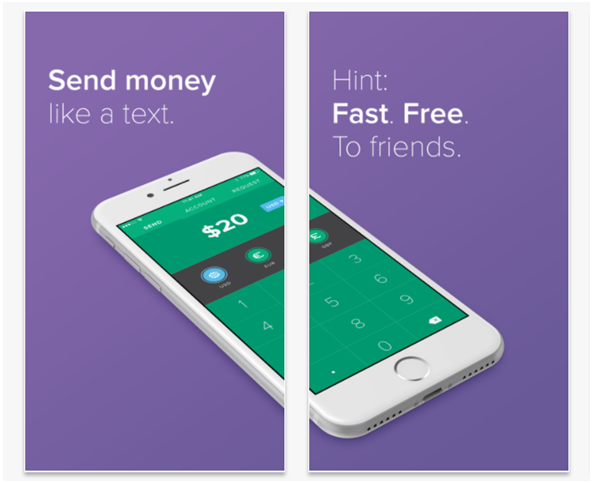 You can send friends money like you send anything else all easy and free. Deposits held in US dollars are insured up to $250,000. The app is compatible with iOS 9.0 and over iOS devices and for Android devices you need 4.1 and up devices. All iOS devices compatible for this app need to be iOS9.0 and up and for Android smartphone you need to have 4.1 and up device. 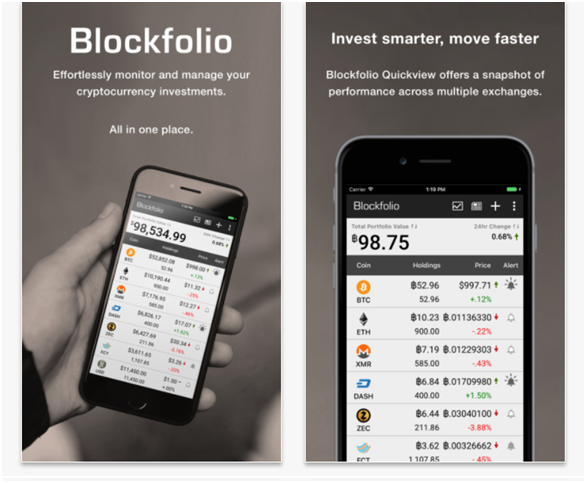 Blockfolio is a Bitcoin tool app where you can keep your finger on the pulse of the Bitcoin and cryptocurrency markets. Its many features include detailed price information and alter notifications when the price crosses a certain threshold. This is a perfect tool for anyone keen to follow the cryptocurrency markets in detail, and indispensable if you want trade on them. View all your cryptocurrency investments at once, and find detailed information on each coin. Use alerts to get notified immediately when the price crosses a certain threshold. Candlestick charts, orderbook, and market details for every coin. Stay up to date with the latest Bitcoin and Altcoin news from CoinDesk, Bitcoin Magazine and more coming soon using News reader. 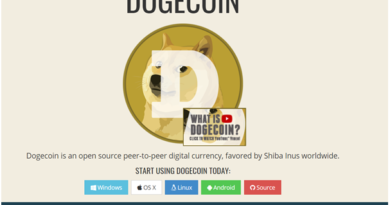 You can easily track over 800 cryptocurrencies including Bitcoin, Ethereum, Ethereum Classic, Litecoin, Ripple, Monero, Dash, Zcash, Augur, MaidSafeCoin, Steem, NEM, Factom, Iconomi, Dogecoin, Golem, Waves, Stellar, DigixDao, Lisk and many more! 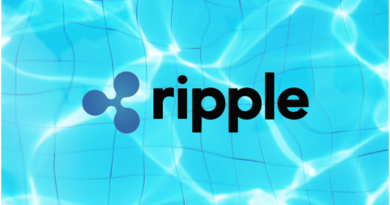 Most new cryptocurrencies are added the same day they are added to the exchange. Add fiat currencies to your portfolio. View your portfolio in over 30 fiat currencies! This app requires iOS 9.0 and up compatible devices and for Android devices 4.0.3 and up devices. Besides these wonderful Bitcoin apps you also have many more like Lawnmower which serves as investment app; Getgems app that pays you to text people’ Bitcoin Billionair “Tapping” mobile game based around mining app; FlapPig BTC games app; Bitcoin Fighter game app and many more with loads of awesome features. ← What is Bitcoin freeroll and how can you play with it?